Folks. I am very happy about this piece. It’s very different than Cooking by Heart videos we’ve made in the past and I think you’ll enjoy it. This piece documents the gnocchi recipe of an Italian friend of Dominique Sarthe. The spinach sauce was invented deep in the mind cogs of Domi’s husband, Cyril Sarthe. 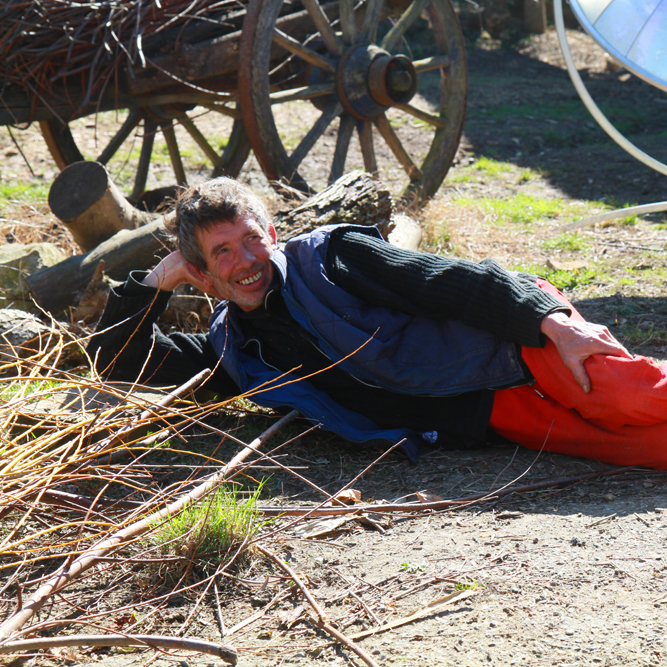 Paul and I met the Sarthe’s in their hometown of Cassagnabere-Tournas, France, where we spent the month of March WWOOFing on their farm. Being that it was early spring, we planted everything from tomatoes to eggplants to squashes, spinach, lettuces, corn, leeks, basil, parsley, potatoes even peanuts. We harvested radishes, leeks, carrots, turnips, parsnips, celery, arugula, and spinach. It was wonderful to eat veggies that were so incredibly fresh. (WWOOFing is a great way to travel cheap – we work about 5 hours/day for room and board. See our travel blog here.) Luckily for us, Domi and Cyril know about good food. 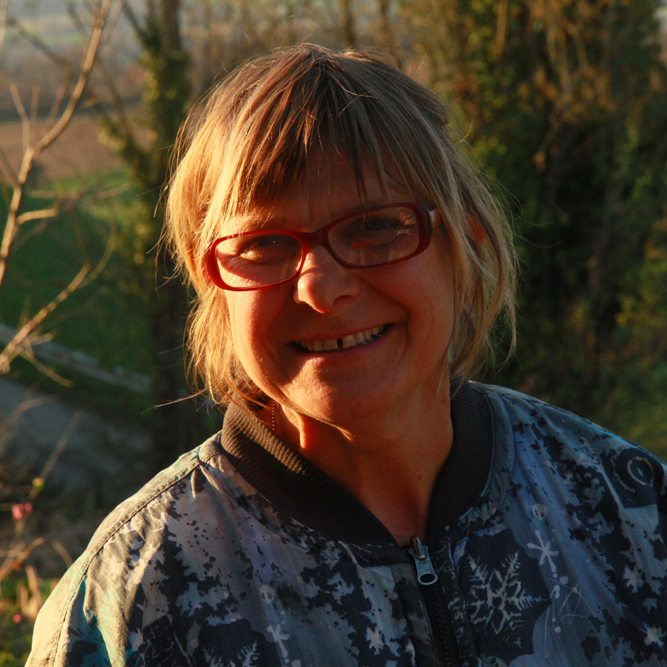 Before farming, they had another life as owners of a pizzeria near Toulouse. 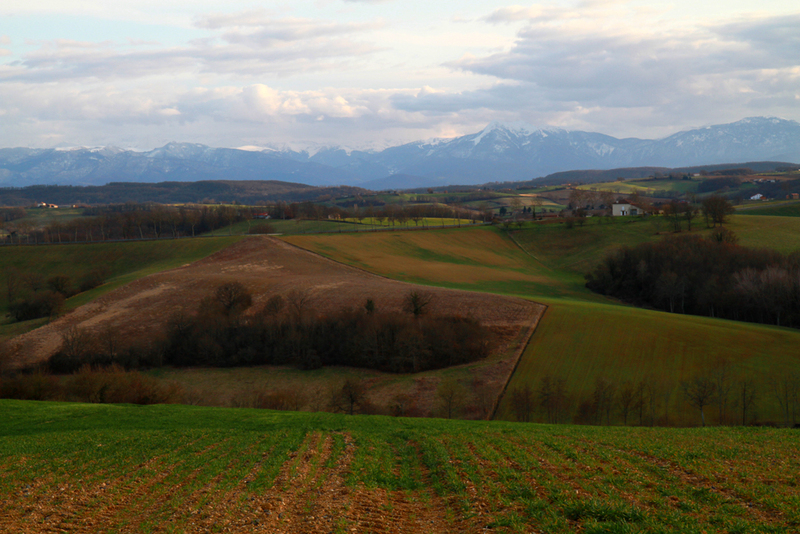 Now they live about an hour and a half south of Toulouse, in an old farmhouse that’s nestled into the rolling hills that dominate the area. 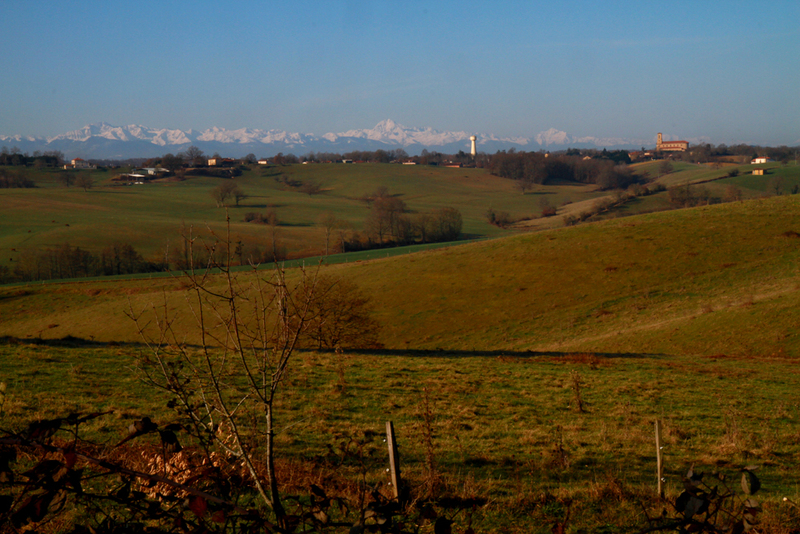 On a clear day, you can see the Pyrenees in the distance; it’s gorgeous. The Spanish border is about 2 hours away. When Domi got home, she was all dolled up in her tango best and full of energy. Dinner preparations began. 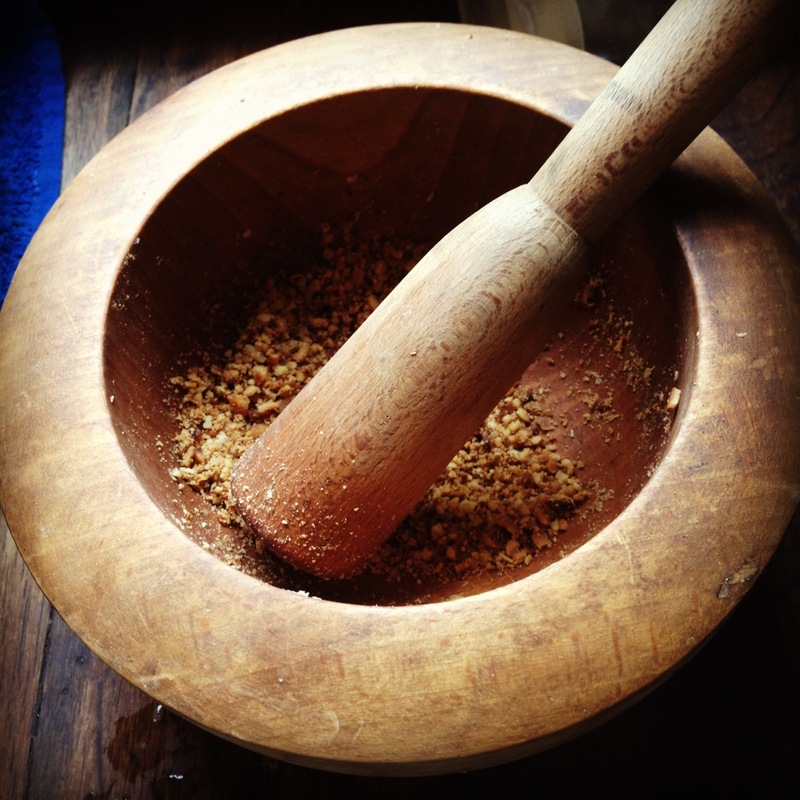 Cyril toasted pinenuts and crushed them in a wooden mortar and pestle. Domi boiled water for some fresh pasta and minced garlic. The nuts and garlic were mixed with basil they had preserved in olive oil from last summer. A bit of salt and voila. Handfuls of pasta topped with fresh pesto and handfuls of salad topped with nutritional yeast and vinaigrette made from sunflower oil and homemade cider vinegar. Our conversation was limited and difficult. But we found ways to communicate. And each day, we could communicate a little more, and some days were impossible and some days were not so bad, but we learned a good deal, trial by fire style. We shared every meal with Domi and Cyril, we slept across the hall, we shared the same bathroom, shower, everything. We spent a lot of time together. And it was tough sometimes. But in the end, it was probably the best thing for our French and we all got to know each other well. Domi and Cyril work hard. They are certified organic farmers who live almost entirely off their plot of land – with a few exceptions like coffee and chocolate. They’ve got a couple of pigs, chickens, ducks, rabbits, and sheep. They also have two doggies and five cats, but not for eating. Domi sells their veggies and homemade products like canned tomatoes and apple juice at the market each Saturday in Muret. 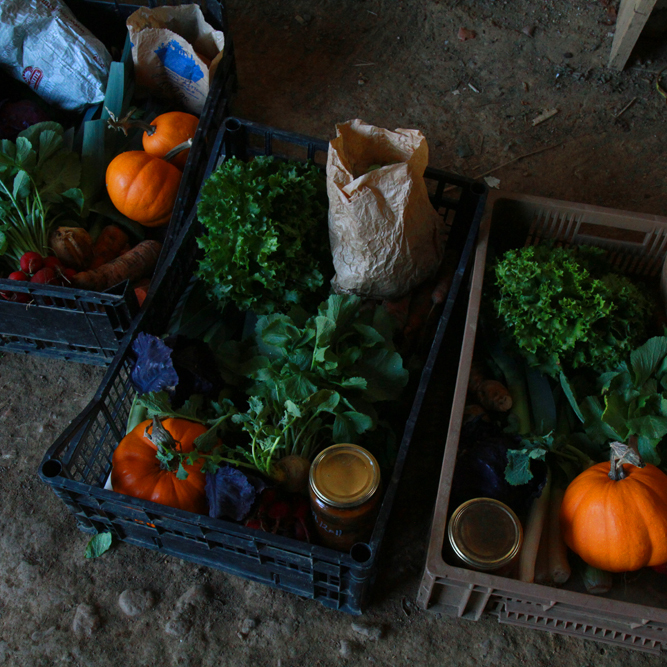 And each Wednesday evening, clients would stop by to pick up veggie baskets as part of a CSA (called an AMAP here). We would spend Tuesday and Wednesday preparing for the CSA; Thursday and Friday preparing for Saturday’s market. There was always work to be done. It was maybe three weeks in, when we started talking about what recipe we could document. Domi and Cyril liked this one because they each prepare a piece of it and it’s one of their favorites. The music is by Django Reinhart, who I know they both love, and the track is called Honeysuckle Rose. Hope you enjoy!